…and they are blessed with the softest of skin..
…with they, I refer to babies. Babies are indeed angels who are the best gift any couple could ever receive from heaven, isn’t it? They are the most wondrous miracle to ever be bestowed and are blessed with the best of skin and features. For a mother, the baby’s health is vital as they are exposed to various forms of infections and diseases, owing to their sensitive immune system. The most common form of infection to infect babies are skin infections. Moisture being one important factor. This leads to irritation and infections among babies which further deteriorates their health and well-being. In earlier days, women used to use cloth wipes for babies to clean their private areas and wetness from their body, but in today’s times, this idea has turned old. 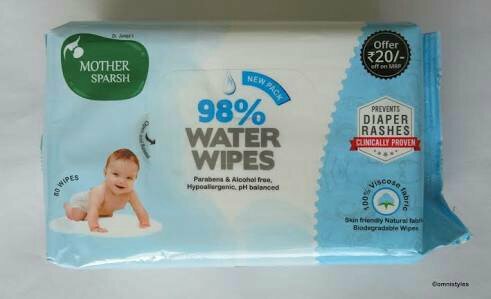 We have turned to using baby wipes from various companies which is not only easy to maintain and buy, but also is equipped with fragrance and can be disposed off easily. But have we ever thought once before using these ready made products if the ingredients that they contain are beneficial to the baby’s skin or not? Well, we must! Because these products contain ingredients like paraben or polyester which are cheap and easy for the manufacturing companies, but can be harmful to the child’s skin. Polyester is a material which is made from plastic waste, the same plastic which is used to make pipes, bags and what not! This ingredient when exposed to the child’s skin can lead to various forms of infections and rashes and we blame various other factors which aren’t actually responsible. So how do we find out if the baby wipes that we are using for our little one is safe and polyester free or not? Well, we need to simply take the ‘Flame Test’ to determine it. You will need three ingredients for the procedure: Candle, Matchstick and the Baby Wipes you are using. Firstly, light up the candle with the help of the Matchstick. Next, dry the baby wipe before performing the test. Next, place a corner of the baby wipe near the candle. Check 2 things in this procedure to conclude if the wipe is made of polyester or not. Firstly is the smell. If the smell/odor of the wipe is bad like plastic, then it is definitely made up of high content of polyester. But If the smell is that of paper or cloth, then it is made up of natural fabric. Next is the fabric after burning. If the fabric gives a black residue or a lump, then it’s made up of polyester, but if the fabric residues into ashes, then it is made up of natural fabric. In the industry, 99% of baby wipes are made up of polyester and are harmful to the baby’s skin, but there’s one such brand called ‘Mother Sparsh’ which is water based wipes in India and are made up of cotton-like plant fabric which are skin-friendly natural fabric wipes and are beneficial to the babies’ skin. 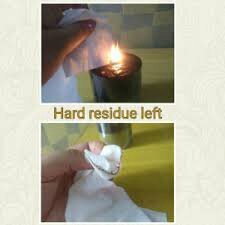 It is the best option for Polyester-free baby wipes and are clinically proven and have passed the ‘Flame Test’. I hope you become well aware of this test and use it for your child’s safety. Have you tried it? Share your answers in the comment section.